Just as Altamira is considered a world reference for its prehistoric art, The Soplao cave is also considered the 'Sistine Chapel' of geology and speleology. Situated in the Sierra de Arnero at a height of 682 metres, it is well worth a visit if only to marvel at the surrounding views. As for visiting its interior, words cannot describe its unparalleled beauty. The Soplao began as a mine in the 19th century but it wasn’t until 1975 that the stalactites and stalagmites were discovered. This underground world extends for 17 kilometres where evidence of the former mine can be viewed alongside the stalactites and stalagmites that nature formed more than 1.300 years ago. 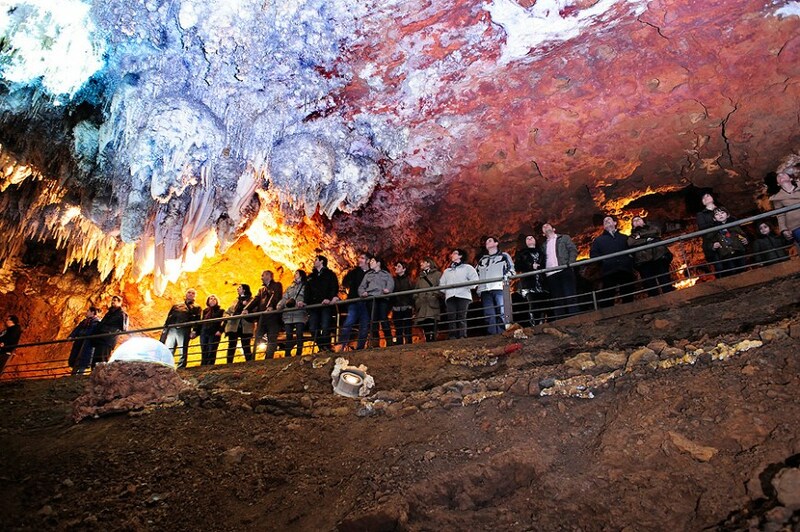 The cave network has two tours on offer although it’s not possible to visit the complete system. The easier one extends 1.500 metres over two galleries and lasts an hour. The other tour combines tourism with adventure lasts two hours and crosses three new galleries. Follow freeway A8 to exit Los Tánagos-Pesués-Puentenansa. Continue past Puente del Arrudo and take the exit to Rábago and El Soplao. Best Rate Guarantee On this site you will always have the best prices. Secure Reservation Total safety in their operations. Ability to Cancel See Cancellation Policy on Rates and Offers. Anti-Spam Question: How many eyes has a person (in words)?